If you have some text in another location and need it in your AutoCAD drawing, you certainly don’t want to retype it. There are several ways to import text from other documents into your drawing. Save the text as a text (.txt) or Rich Text Format (.rtf) file. (You do that in your word processor by choosing File>Save As and choosing one of those formats from the Save as Type drop down box. Rich Text Format keeps a good deal of the text formatting.) Choose Multiline Text from the Draw toolbar to open the Multiline Text Editor. With the Character tab on top, click Import Text and find your file in the Open dialog box. Click Open. You can now format the text using the Multiline Text Editor’s tools, a nice advantage. Mike Tuersley of Technical Software, Inc. sent in this addition: this method has a size limit (16K). Instead, you can copy the text to the clipboard from the other file and return to AutoCAD. In the Multiline Text Editor, right click and choose Paste. This bypasses the file< size limitation. Rick Martindale of Adams Consulting Engineers, Inc. offered another way to import text: “When you want to copy and paste (from Word, etc), if you use the “Paste Special” option in AutoCAD, you get a dialog box that allows several options as to what type of object will be created. If you choose TEXT, the information from the clipboard is inserted as MTEXT, and is now fully editable. No embedded object to worry about, and the original text does not have to be RTF.” You’ll find Paste Special on the Edit menu. If you have a text or RTF file that you want to import, you can simply drag it in from >Windows Explorer. Open Explorer and locate the file. Position/size the Explorer window so you can also see your drawing. Click the file and drag it into your drawing, then release the mouse button. If you later wish to format it differently, choose Modify>Text, select the text and format it in the Multiline Text Editor which opens. Let’s say you want to import part of a file, even just a few words. 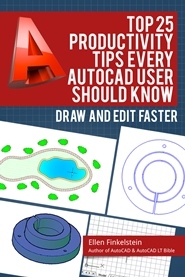 You can open the file, select the text, copy it to the clipboard, and then return to AutoCAD. Now click Paste on the Standard toolbar. AutoCAD opens the OLE properties dialog box, where you can specify size, scale, plot quality and so on. 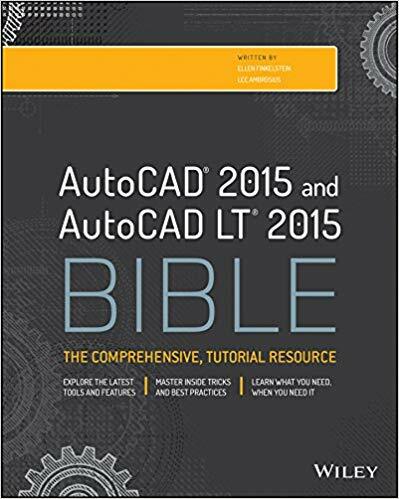 Click OK and AutoCAD pastes in the text with the original formatting intact. This is an embedded object. You can’t edit this in the Multiline Text Editor, but you might not need to. Choose Insert>Object. This is the same as the INSERTOBJ command. Click Browse, find the file and click Insert. You can now choose Link to link the data in your drawing to the original file, if you want it to be updated each time you open or plot your drawing. Which method do you use most often and why? Or do you have another method? Leave a comment! What isThe ways to import dimensions style from other drawings without open it? The easiest way is to use DesignCenter.